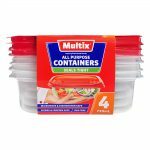 4 Multix All Purpose Containers that seals tight with a capacity of 739 mL. 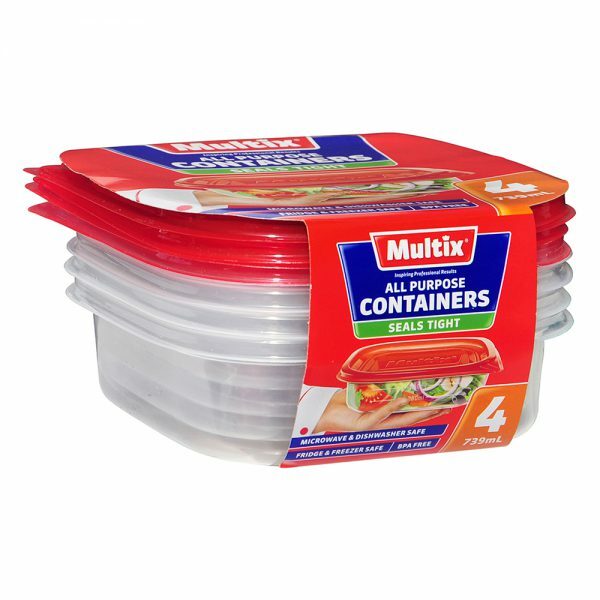 Multix All Purpose Containers are microwave and dishwasher safe, fridge and freezer safe and BPA free. Please wash Multix All Purpose Containers prior to use. Loosen lid to vent prior to microwaving. 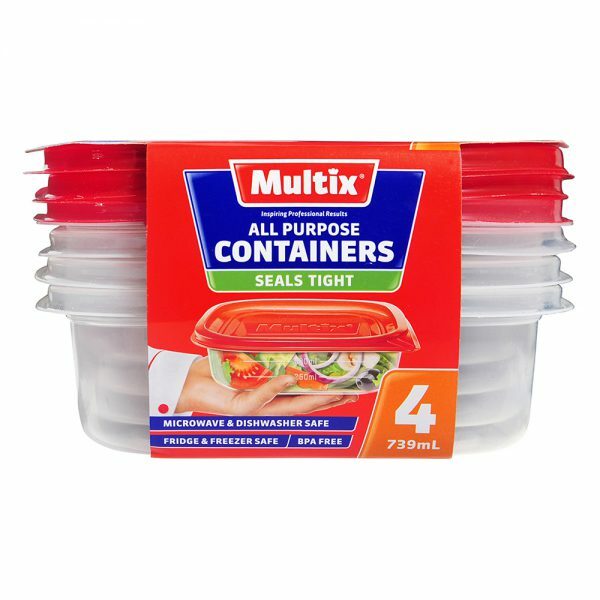 Caution after microwaving, Multix All Purpose Container may be hot. Do not use in a conventional oven or oven stove top.